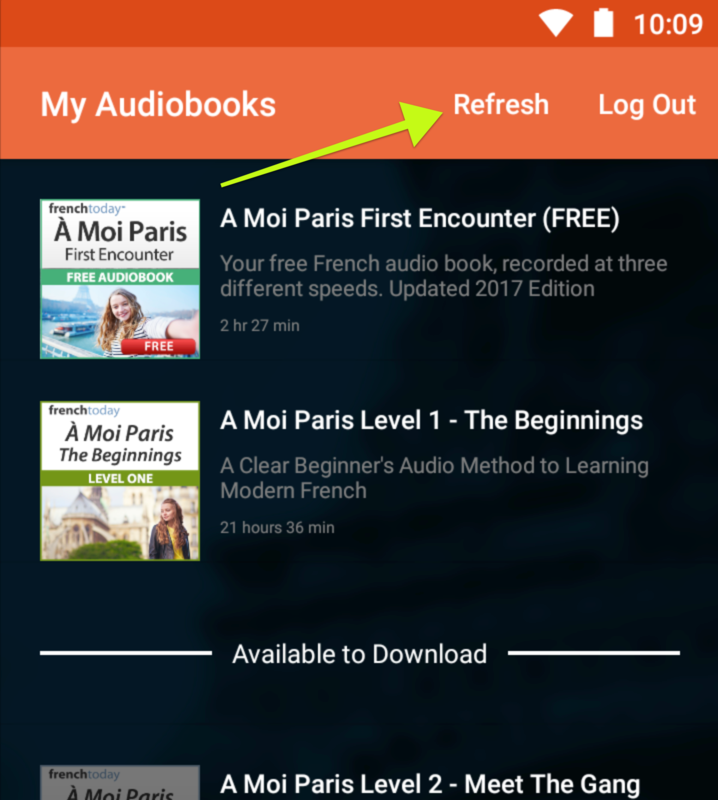 To force the app to download the latest list of audiobooks that you have access to, you might need to force a refresh. 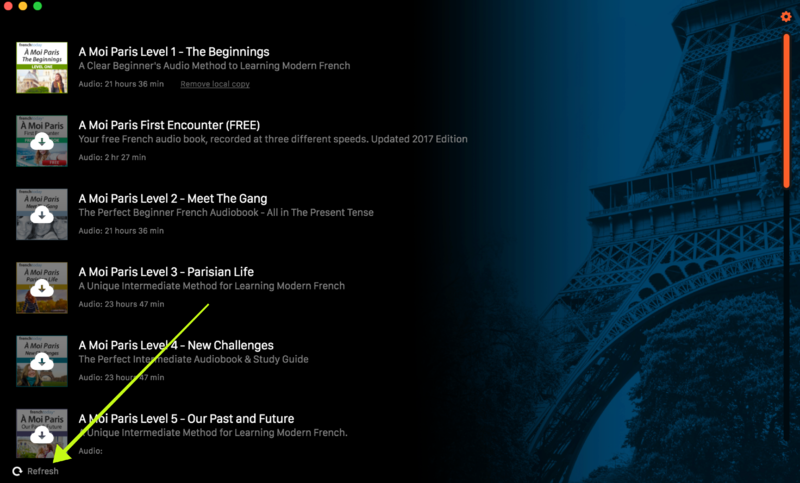 The French Today apps work based on your French Today account associated with your purchase email address. 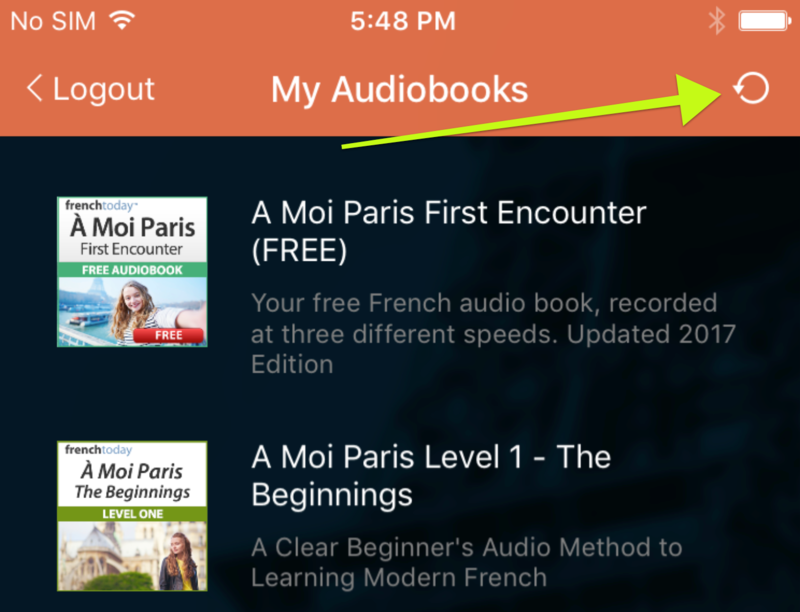 If you have ordered the audiobook(s) under a different email address/account, then it will not appear in your other account. Please contact us and we'll merge all your purchases under a single account.